Since October I have been participating in the Walking With Purpose – Open Your Heart Bible Study at my church. It’s definitely not what I thought it was going to be when I wanted to sign up for a Women’s Bible Study but it’s been so good for me. Last night Lisa Brenninkmeyer who wrote the study did a Lent talk at my parish that my mom and I attended. My husband wanted to go but I was like you are going to feel weird being the only man there but man it was SO GOOD I wished he had gone. They say it’s going to be on her website soon so when it is I’m going to make him watch it. And I’ll add the video here so you guys can watch it as well. This study and talk was so good. One thing that she talked a lot in this talk and that comes up often in the bible study week after week is what does GOD want you to do with your life? Do you ever ask him and or listen to him? I bet for most people the answer is no. But let me guess you often listen to the opinions of the following people when you are trying to make decisions about your life: your spouse, your parents, your boss, your siblings, your cousins, other family members, celebrities, people on TV, authors, etc. etc. We are all longing to be accepted by anyone we are sometimes willing to do whatever it takes. 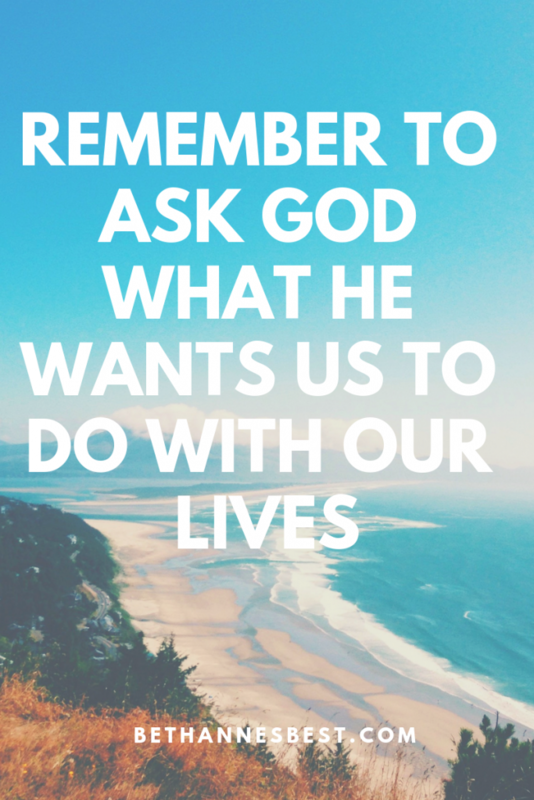 But the reality is we need to be asking God what he thinks his calling for our life is. I encourage you to pray to God for what his calling for you is in your life. Ask him to send you guidance and direction. If you are young or old it doesn’t matter how old you are he is still there to help guide you in your life and it’s okay if you think you need to make a pivot in your calling he will be there to guide you through the transition. What do you think Gods calling is for your life?